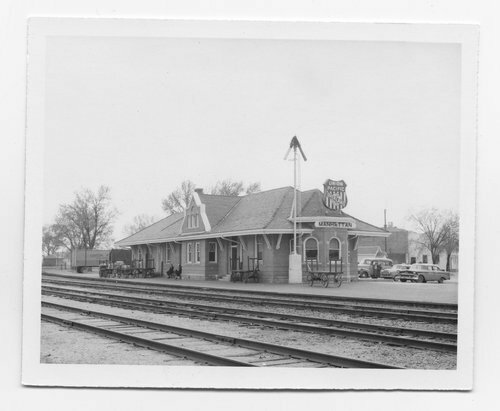 This photograph shows the Union Pacific Railroad Company depot at Manhattan, Kansas. The depot was located on the Kansas Division, First Subdivision, at mile post 119.3. The brick structure still stands and has been moved along Ft. Riley Boulevard in Manhattan, Kansas where it serves as a municipal center.